A pig can eat an uncooked human in 8 minutes! WHEN'S MOM COMING HOME!? I MISS HER! 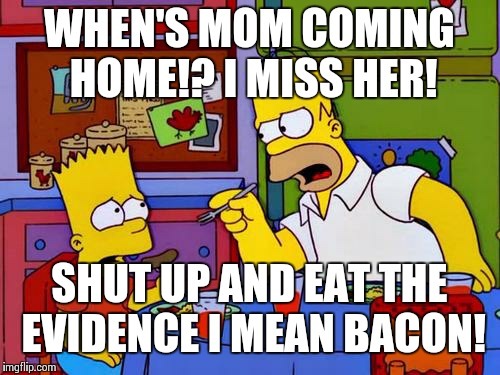 SHUT UP AND EAT THE EVIDENCE I MEAN BACON!